In a letter to investors, Apple announced Q4 2016 sales generated their highest quarterly revenue to date. The company sold more iPhones than ever before, and set other records for the Apple Watch, Mac, and various other services. Apple brought in $78.4 billion in revenue which amounted to profits of $3.36 per share. This number is up $2.5 billion from last year with international sales accounting for the majority of the growth. Mobile device sales had been dropping recently but Apple sold 78 million iPhones during the holiday quarter which would indicate a strong rebound. Producing larger sized and more expensive models has certainly paid off. On the Mac front, in spite of the controversy surrounding its new MacBook Pro models, Apple sold 5.37 million Macs, just slightly more than the 5.31 million it sold the year prior, contributing about $7.2 billion to the overall quarterly revenue. On the tablet side numbers were less impressive. iPad sales and therefore revenue dropped 20% from last year, but Apple is hoping their new line of iPads will turn that around. With market fluctuations in its hardware line, Apple has also looked to diversify with additional services. Revenue from Apple Music, Apple Pay, iCloud storage, and the App Store grew 18% year over year. Despite Android having nearly 7 times the global market share of iOS, App Store revenue was twice that of the Google Play Store. CEO Tim Cook is also hoping to double Apple's service revenue throughout the next four years. 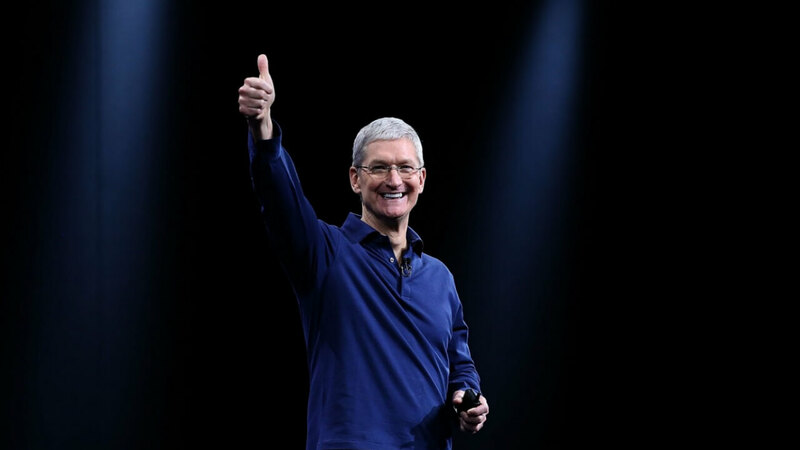 Apple's overseas tax situation has been a much debated subject, but Cook is hopeful that future tax reform legislation will help them bring much of their profits back to the US. He also alluded to Apple's interest in original content; something their 200 billion in offshore cash could help finance.